Will the Farc truce hold in the south? Anywhere? The Farc surprised everyone last Friday by announcing a unilateral truce to last for two months. They said they were suspending all attacks against civilian, government and private targets. Of course, they had just blown up the TransAndino pipeline the day before so they went out with a bang so to speak. The government immediately said they would not reciprocate, consistent with their line since the beginning of the peace process. What is worrisome are rumors that Farc commanders in the south may not comply with their leaders’ orders. Incidents were down again slightly this week perhaps disproving our hypothesis that things would heat up around the resumption of peace talks next week. Quantity may be down but severity would seem to be up. 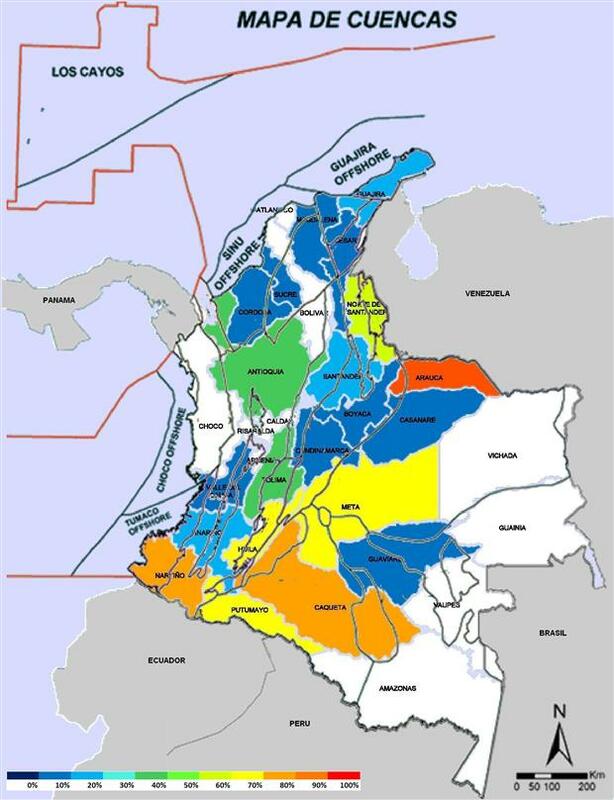 RCN Radio reports that the Farc are assumed to be responsible for an explosives attack on the TransAndino pipeline in two separate locations. The first was in the village of El Verde in municipality of Puerres in the department of Nariño and the second was a few kilometers away in the village of San Pablo in the municipality of Cordoba in the same department. Both are located near the border with Putumayo. 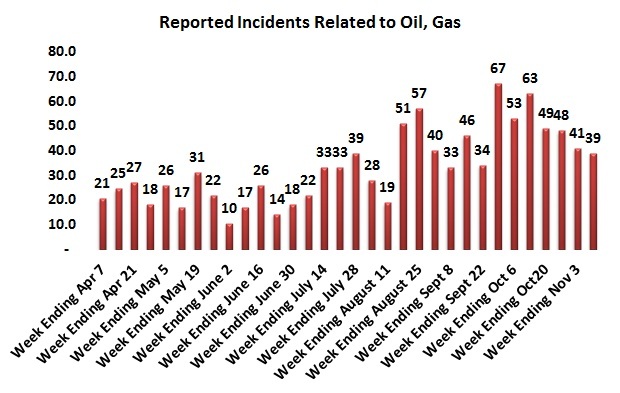 Incidents declined again for a fourth straight week but the decline was slight so maybe we have found a new equilibrium. Incidents are down again for the third straight week and are just about back to the level they were just before peace talks began. It would be very bad analytic practice to suggest a pattern from a single cycle but these results are consistent with a theory that things will get worse while the sides are actually at the table, going back to “normal” afterward. 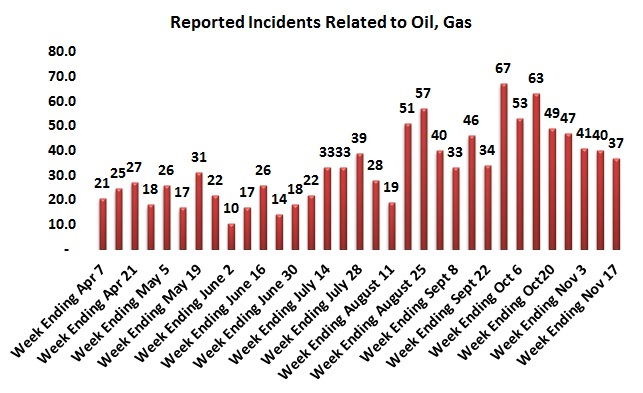 Reported incidents were down this week for the second week in a row but the distribution of events was somewhat unusual with nearly half associated with the theft of crude or gasoline, or events near pipelines. This is more fun than anything else at this point. We have taken our Security Incidents Near Hydrocarbons counts and color coded the departments. The more red the color the more incidents. The fewer, the “cooler” the situation and thus the department is “blue”. We have superimposed the outlines of the major basins for reference. Last Friday, Defense Minister Juan Carlos Pinzón addressed the National Hydrocarbons Agency (ANH) conference in Cartegena. The speech was full of statistical information and the crowd gave him a standing ovation. This is the MinDefensa press release on the speech, translated and with commentary by Hydrocarbons Colombia. 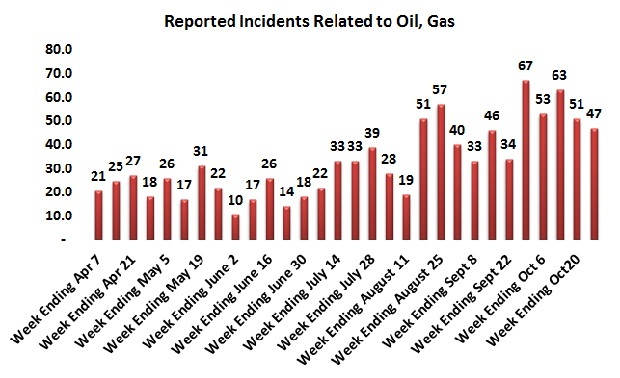 We have been tracking incidents near hydrocarbons infrastructure since the beginning of 1Q12. 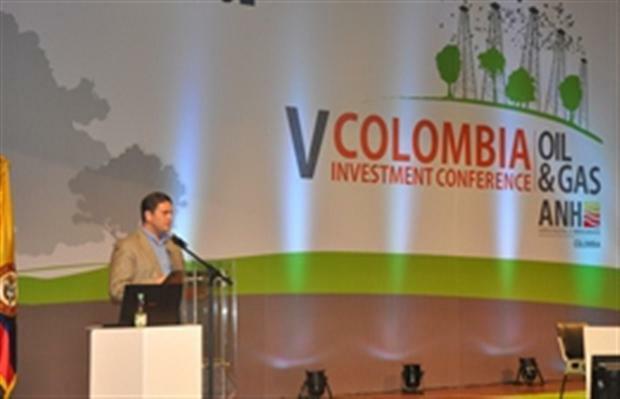 The Colombian government and the Colombian Petroleum Association track events where the infrastructure itself is attacked. We use a radius of 20km and count any event that involves terrorism of one form or another. We believe this gives a more accurate picture of the risk associated with a particular area. It also allows us to assess the risk of zones that do not yet have infrastructure, such as an exploration block. 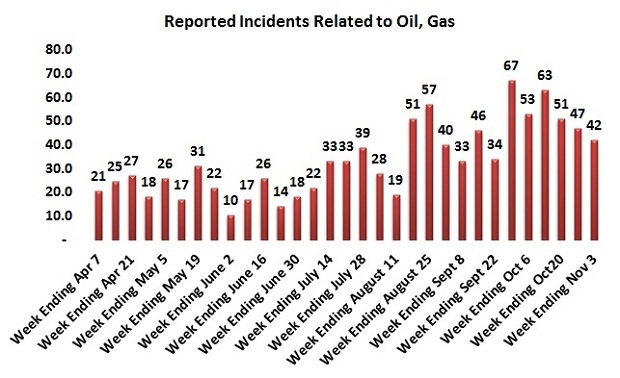 We are tracking security events that could be important for the Oil and Gas. These are not necessarily direct attacks on oil and gas infrastructure but evidence of terrorist activity in zones of hydrocarbons interest. See our dedicated page here for a complete listing and look here for methodology.